Today I was trying to get the Jenkins build number into my Android app for display, however, I couldn’t find any tutorials on how to do this. I have pieced together a few things and put them together below. So, Android uses two fields for versioning, these appear in the app’s build.gradle file. versionCode – The unique version that android uses to distinguish between versions of an app. versionName – This is more of a human readable and flexible build number that is what I’d like to display. By default this is hard coded to “1.0” and I’d like to make it “1.0.” + JENKINS_BUILD_NUMBER. ext.buildNumber = System.getenv("BUILD_NUMBER") ? : "dev"
This code above sets the buildNumber variable to the jenkins build number if it is not null, otherwise it sets it to “dev”. I did this so that we can distinguish between development builds and continuous integration builds. This now makes the Jenkins build number and our application version accessible to our application. If you are using the Gradle build system there is an addition class available to your application that allows you to get the configured version number. Add BuildConfig.VERSION_NAME to where ever you need to retrieve the current version name from. For example, I have a TextView in the settings screen of my application and I set the version name with the code below. 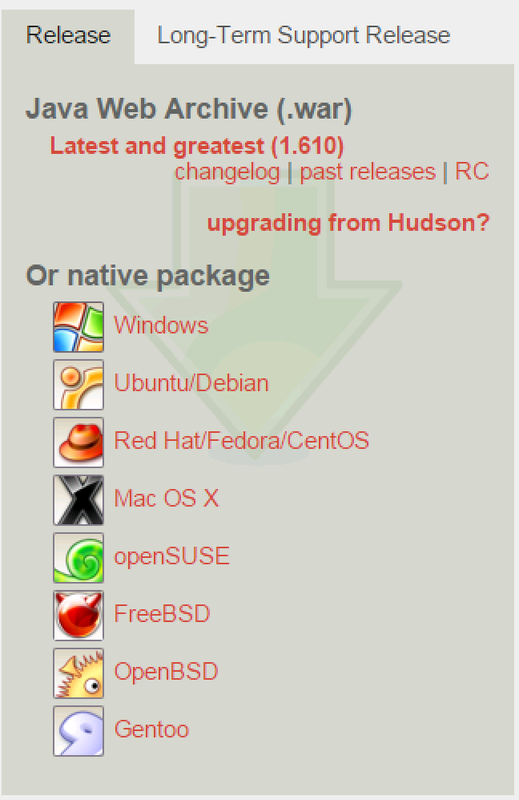 1) Get Jenkins/Hudson to poll the SVN server to look for changes. 2) Notify the build server when changes are made on the SVN server. Option 1 is a lot easier to do than option 2, mainly because it can be done out of the box. This works fine if you are happy for the server to poll SVN every few minutes and you can wait. – If you want to poll SVN every 2 minutes say, then go to the configuration page for your build task in Jenkins. – Scroll down until you get to the “Build Triggers” section. – Tick the Poll SCM and enter “H/2 * * * *” into the Schedule section. Option 2 is required if you want the server to be more responsive to changes in SVN. There are instructions on how to do this here, look for the Post Commit Hooks section.